It’s highly unlikely that visitors to Melbourne will run out of things to do within the city, with its charming cafes and chic art galleries. You can easily spend a full day in the National Gallery of Victoria alone! Yet if you have more time on your hands, it’s well worth getting out of town to explore the city’s picturesque surroundings. Wine tasting, surfing, and mountain hiking are just a few activities to enjoy outside of town, yet you’ll still be back in Melbourne by sundown to enjoy its buzzing nightlife. Have you already gone to see the koalas at the Melbourne Zoo? Venture out to Phillip Island for more animal adventures. This destination draws over 3 million visitors per year, with the highlight for most being the famous penguin parade. 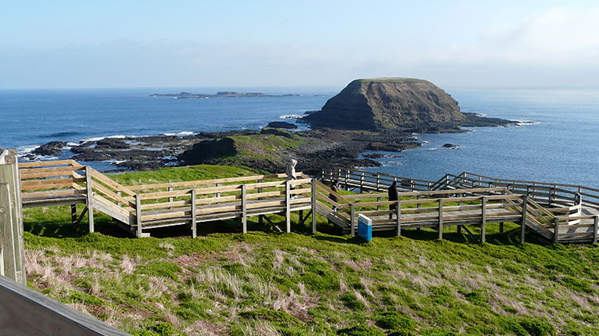 There’s a charming boardwalk path called the Nobbies which takes you around the Phillip Island Nature Park, where you can spot a wide variety of sea birds and natural gardens. There’s also a koala conservation centre and a botanic gardens, along with spectacular sea views. The Mornington Peninsula is known for its outstanding natural beauty and pristine beaches. Flinders is a historic town located 86 kilometres away from Melbourne, making it a prime day trip option to explore this scenic nook of Australia’s coast. Stroll down the main drag and admire the heritage architecture, sample the local pinot noir, and watch the fishermen hard at work on the Flinders pier. You can go surfing at Point Leo or drive up to the fragrant Ashcombe Maze and Lavender Gardens, which is home to the oldest hedge maze in Australia. Only a brief half-hour drive outside of Melbourne, the Dandenong Ranges offer a wide range of outdoor adventure and splendid views. Take a ride on the historic Puffing Billy stream train, enjoy a picnic in the lush National Rhododendron Gardens, or take a nature walk through the mountain forests. Breathe in the scent of eucalyptus as you visit the William Ricketts Sanctuary, with its fanciful ceramic sculptures built into the natural landscape. 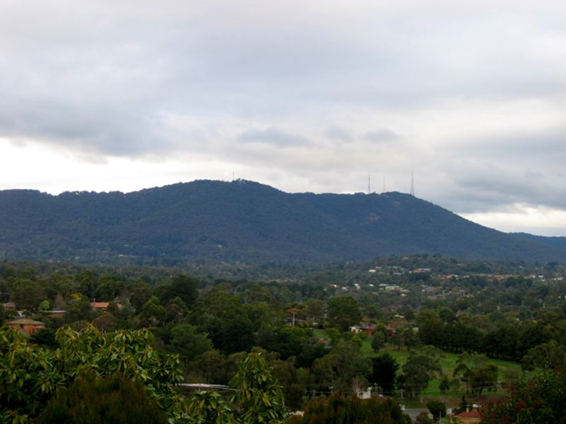 The highlight is the summit of Mount Dandenong, where you can enjoy panoramic views of Melbourne below. There’s nothing better than a scenic drive down the coastline, and it’s hard to top the views of the Great Ocean Road. Use local sites like motoring.com.au to read car reviews and find a stylish vehicle to go cruising in on your day trip to Lorne, which is small in size but big in personality. Take a walk along the cliffs, laze on the beach, or taste the catch of the day in a seaside restaurant. Australia now ranks up there as one of the world’s primary wine producers. Although you can sample the local products in any of Melbourne’s restaurants, it’s fun to go straight to the source with a visit to the Yarra Valley. Quaint Healesville is a popular destination for visitors to this region, home to the Healesville Sanctuary with its curious Australian wildlife. You can also take a journey on the historic Yarra Valley Tourist Railway, or pair your wine with some hand-made cheese at the Yarra Valley Dairy. Pick up some goodies for a sunset picnic back in Melbourne. There’s a wide variety of options to choose from if you’re itching to get out of town, from coast to mountains and the valleys in between, if you have any other great suggestions for day trips from Melbourne, please share them in the comments below! For those who have just moved to the harbor city of Australia from colder climates in Europe or North America, you might believe that sailing on waters here is an activity pursued during the short months of summer, with some cruising possible during pleasant days during the spring or fall. However, the weather in the vicinity of Australia’s largest metropolitan area remains pleasant even throughout the Southern Hemisphere winter, with daytime highs averaging 16 degrees Celsius during the coolest months. Additionally, inclement weather begins to dissipate in the Sydney area from July (analogous to January in the Northern Hemisphere) when the wind shifts to the west and rainfall drops measurably compared to the summer months. Due to winter being such a good time for sailing in Australia, there is no need for dry boat storage. Your boat can stay on the water all year round. 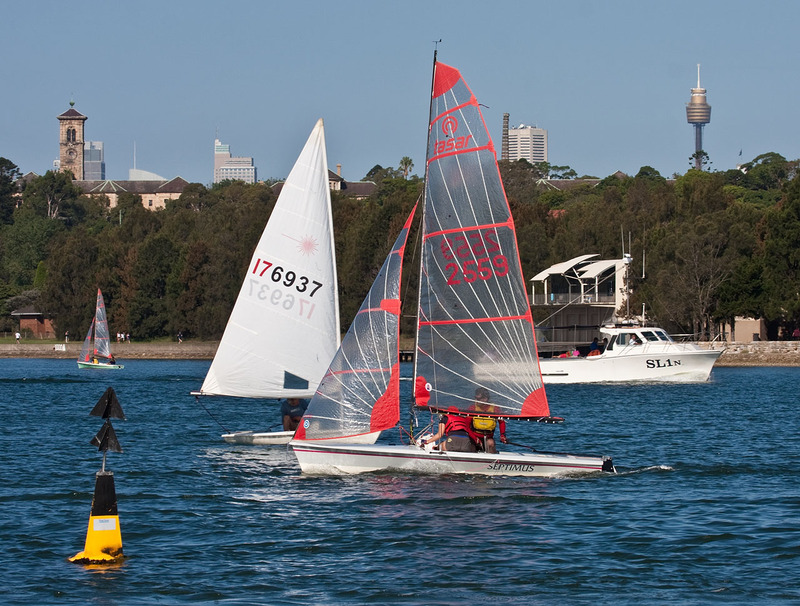 Many schools exist in the Sydney area that will teach you the know how you need to pilot a boat with skill, and to do so with a mindset of safety. By starting as crew aboard an existing boat, you will start gaining valuable hands-on experience right from day 1. After getting comfortable on the water in a controlled setting, set out to get licensed through the Maritime Department of the government of New South Wales, who will test you on every facet of your boat smarts, so study hard! Located within a three hour sail from the city, Lake Macquarie is the largest permanent salt water lake in the Southern Hemisphere, and is connected to the sea by a canal. Being a protected reserve for birds and Pulbah island in the southern end of the lake being fringed by tempting beaches, Lake Macquarie is an excellent choice for an afternoon of fun. If you’re looking for something a little closer, Port Hacking is situated only 16 kilometers south of the city limits, and is the place where Sydney’s suburbs begin to dissolve into the countryside. The sailing centerpiece is an estuary that is essentially a drowned river valley, and with little in the way of upstream agriculture or industry to muddy the waters, the visibility here is very good underneath. Another highlight is the cliffs that occasionally ring the shoreline along the way, making a worthwhile first trip outside the city center. 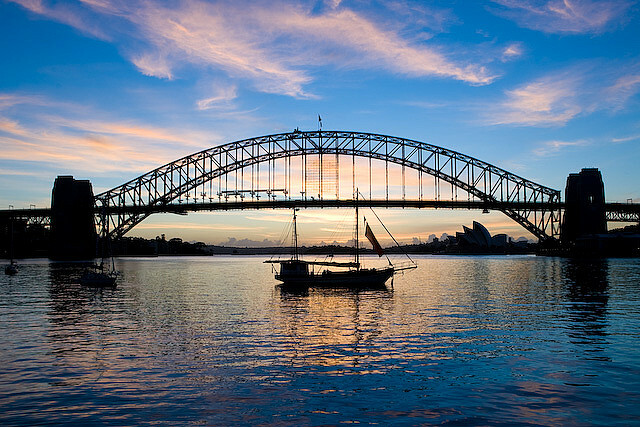 And of course, the most classic place to sail is within Sydney Harbor itself. While you are likely to get well acquainted with Sydney’s highlight attractions shortly within your arrival here, these sights take on a new appeal when viewed from the water. Be sure to take special care to follow the rules of the sea when in Sydney Harbor, as you will be sharing the water with countless other boats, some of whom will be much, much bigger than you (cruise ships, tankers, etc)! Life On The Water Is Grand … Come Join The Party! While the mechanics surrounding sailing can be intimidating at first, don’t let this cowardly fear stop you. Countless Sydneysiders less capable than you are having the times of their lives all year round on Sydney’s waterways … if they can do it, so can you! If you want to know more about the top reasons to visit Sydney, Australia then you’ve come to the right place! And not only will you be able to learn more about this bustling Australian metropolis, you’ll also discover ways on how to make your vacation experience here extra special. As the capital of New South Wales, Sydney is the most populous city in Australia, with a residential population of 4.6 million. It is the 42nd most visited city in the world, with 7 million domestic visitors and 2.7 million foreign ones annually. Most tourist here seek out the Sydney Opera House and Harbour Bridge as well as its famous beaches like Bondi and Manly, but what people don’t know is that there are a plenty more attractions here worth exploring. Read on to learn about a few of them! The top tourist attractions in Port Douglas are what made this town in Far North Queensland Australia appear quite brightly at the radar for eager travellers all over the world. This place is located forty miles north of Cairns and its very limited 4,772 citizen population is indicative of how diminutive this area is in civilization standards. However, its population more than doubles each time vacationers spend their holiday in this coastal town. This town got its name from a 19th Century premier of Queensland named John Douglas. This town relies on two prosperous industries – mining and logging. 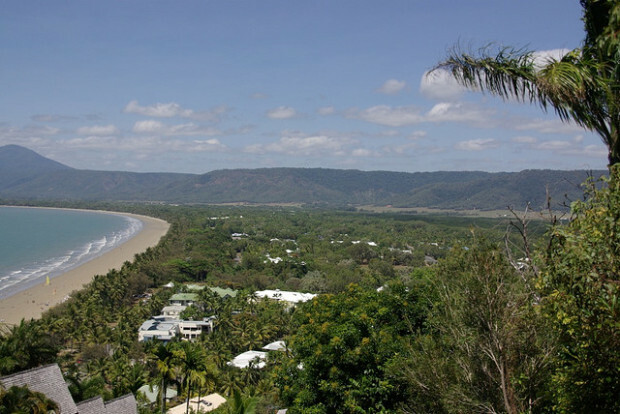 Curiously, Port Douglas shares a close proximity to two of Queensland’s UNESCO World Heritage Site such as The Great Barrier Reef and the Daintree Rainforest. Before launching a voyage to these locations, there are several attractions worth lingering first. The Rainforest Habitat Wildlife Sanctuary is one of the most exciting among the top tourist attractions in Port Douglas. This venue is something that can truly give eco-tourists a wonderful exploration experience and these adventures can come in three iconic themes. The boardwalks cut through the canopy called the Rainforest and continues further into the less constricting Wetlands, and finally ending up in a dry and more open-spaced location called the Grassland. Have you experienced living the life of an Australian rancher? This question directed at travellers can have a slightly affirmative answer once they get into the Australian Muster Experience. People who haven’t the slightest idea about Australia’s correlation with cowboy life can experience the worthy rivals of the Wild West. Here people can enjoy an open-air barbecue buffet in the middle of a cattle ranch with outback music and a complete set of thematic elements such as stockmen, horses and cattle dogs that herd the rancher’s stampeding property. Dusty, remote and picturesque; just the way patrons of Australian outback imagines it. Being a coastal town, it seemed inappropriate for this place not to have a decent leisure boat cruises. Truly, for people seeking a casual marine activity they ought to try visiting the Port Douglas Yacht Club. A very interesting aspect about this tourist attraction is that joining this club does not need a registration fee. It is free and all it takes is to appear in the list for the boating crew to fit in the appropriate gear. People can truly have a nice excursion in Queensland’s remote tourist attraction. However, all that walking and proactive pursuit can cause an unpleasant discomfort from exhaustion. Some people couldn’t settle for simple dozing and for these types of individuals who prefer lavish physical pampering, it is best to pay a visit to the Sea Temple Resort & Spa Port Douglas. More than a recreational waterpark, this place is home to a massage parlour. This place is also a good location to play golf.